Computers, smartphones and tablets may be connected to the campus Wi-Fi for a mobile internet connection (Eagles Wi-Fi). Currently, the network does not allow other devices (i.e. Smart TVs, Gaming Systems). 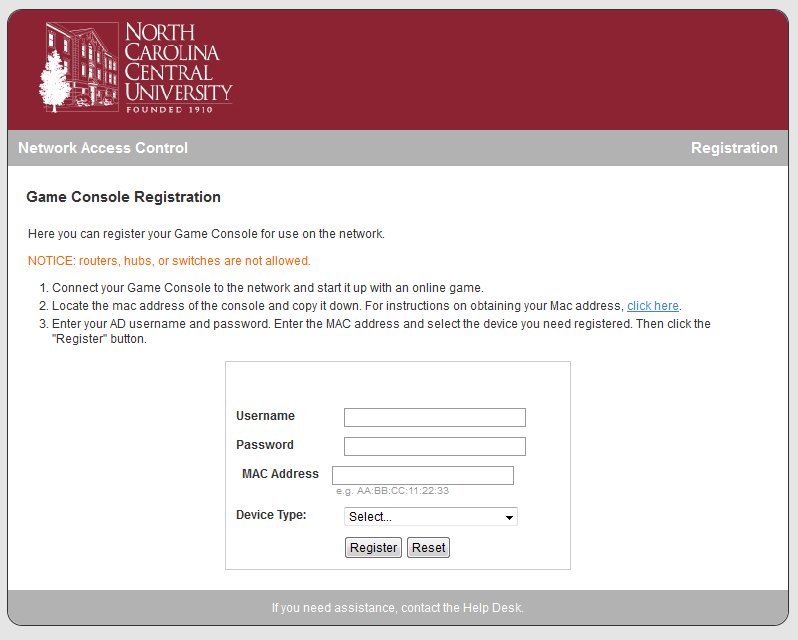 Additionally, faculty, staff, and students may register up to 6 devices (wired and wireless). Students who choose to bring devices that are not supported on wireless may use a wired connection by connecting the device via an Ethernet cable to the port in their room. Once the devices is connected to the port, the following steps may be taken to register the device.